Sometimes you have to confront unpleasant realities head-on if you want to avoid victimization. There are certain subjects that people prefer not to talk about, and while this is understandable on one level, the shadowy approach can help to feed the problem. 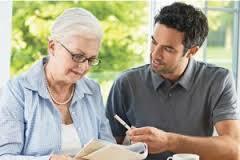 This can enter the picture when it comes to elder financial abuse. There is a perfect storm that nefarious types often take advantage of when it comes to senior citizens. 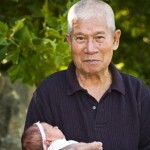 Over time, you can accumulate a significant nest egg, and senior citizens often have very good credit. As we all know, memory loss can enter the picture when you reach an advanced age, and many elders require help with their day-to-day needs. When you put all this together, you have a segment of the population that is vulnerable to financial predators and opportunists. Traditionally, this problem has not been adequately researched, and there is a good reason for this. 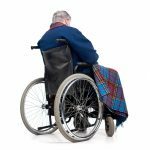 The New York State Elder Abuse Prevalence Study found that only one out of every 44 cases of elder financial abuse is actually reported. When virtually all cases go unreported, it becomes very difficult to accumulate reliable data. Until this year, the study that most people within the elder law community turned to to find out the facts was the 2011 MetLife Mature Market Institute survey. The survey estimated annual losses at around $2.9 billion, and this rather eye-catching figure was widely circulated to underscore the magnitude of the problem. Earlier this year, a new study was released by True Link Financial, and some of the findings were absolutely mind-boggling. Clearly, this $2.9 billion figure is no pittance, but the new survey placed estimated losses at a stunning $36.5 billion per year. 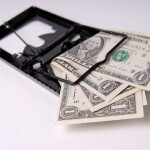 The widespread nature of elder financial abuse was also revealed in the survey. 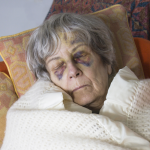 True Link Financial tells us that over any 5 year time frame, 36.9 percent of people who have reached the age of 65 will fall victim to instances of elder financial abuse. Some victims experience relatively minor losses, but around 7 percent of victims lost at least $10,000, with the average losses among these people being $52,300. When you envision the perpetrators, you probably think about con men, scam artists, fraudsters, and identity thieves. Indeed, this is part of the problem, but sadly, people close to the victims often take advantage of their access. Criminally opportunistic family members, friends, and care givers are part of the problem as well. 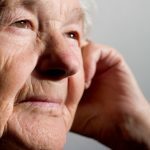 If all of these disturbing statistics have gotten your attention, you will be glad to know that there are legal steps that you can take to mitigate your exposure to elder financial abuse. We have been analyzing this issue for a number of years, and we would be glad to explain your options to you. To set up a free consultation, send us a message through this page: Hartford CT Elder Law Attorneys.